Discussion in 'Model 3' started by TEG, Apr 1, 2016. I like what they are doing with Model 3 and plan to get one as soon as I can . My only questions / concerns are about color choices and seat materials. #1: Metallic black (not just the piano/jet black). Like the old Roadster "obsidian black". For interior, I hope they offer a "textile" seat type option. They had Microfiber on Roadster, and some non-leather seat options for Model S & X. Some kind of durable synthetic cloth hopefully. Ultrasuede, Alcantara perhaps. Hopefully in a darker color too. I would want gray or black. Also, I hope there is dark headliner and dashboard. A lot of modern cars are only offering headliners in white, for some reason, which I find to be negative. I would appreciate some bold color choices for the exterior. There are enough gray/silver/white cars. MissAutobahn Elon, please ramp up Fremont in ludicrous mode! Every evening when I go to bed, I am praying for a brown or dark red interior. I remember the reveal of the Audi TT ( Franz? do you remember??) the cognac leatherseats were stiched like baseball handshoes. I loved it! 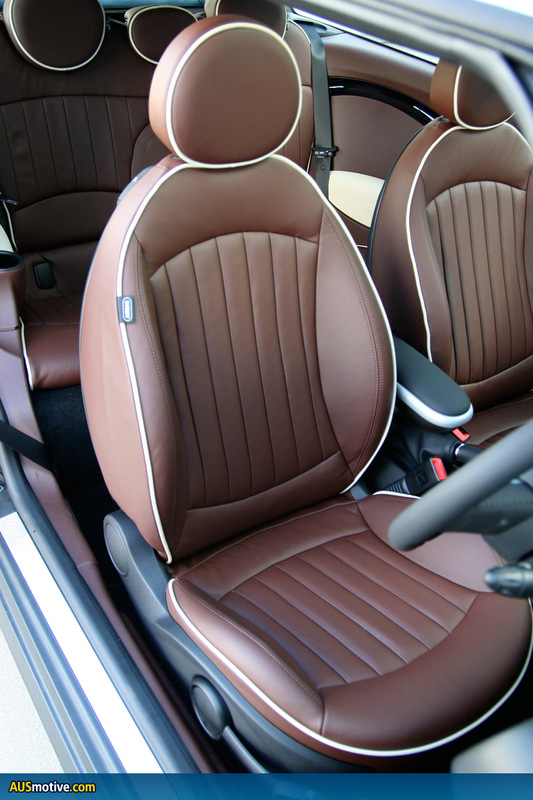 Yes, I love my current chocolate brown Mini Clubman interior. More color options would be nice.